Think back to the last corporate event you attended. Chances are it was in a hotel banquet hall or perhaps on a rarer occasion, it was held at one of Singapore’s more “Instagram-worthy” restaurants. The food was great, the drinks stimulating and the company genial. Overall a great experience but if you’re on the planning committee, that lack of novelty is eventually going to set in and the event forgotten or merged with its predecessors. 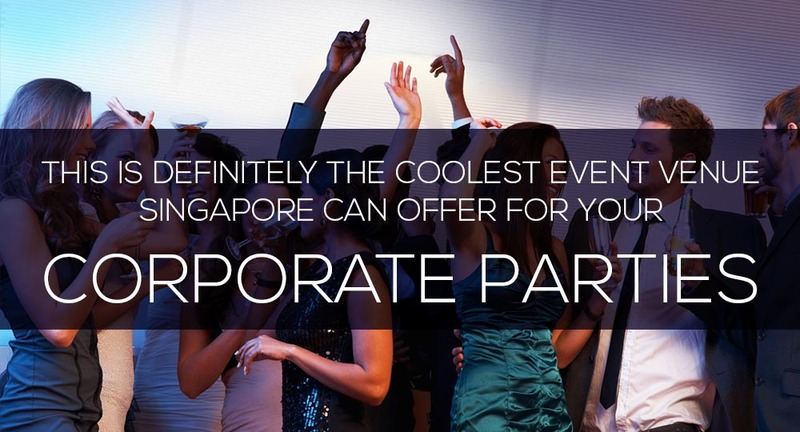 If you’re looking for something fresh and unique in corporate party ideas, here’s a brand-new experience to consider. 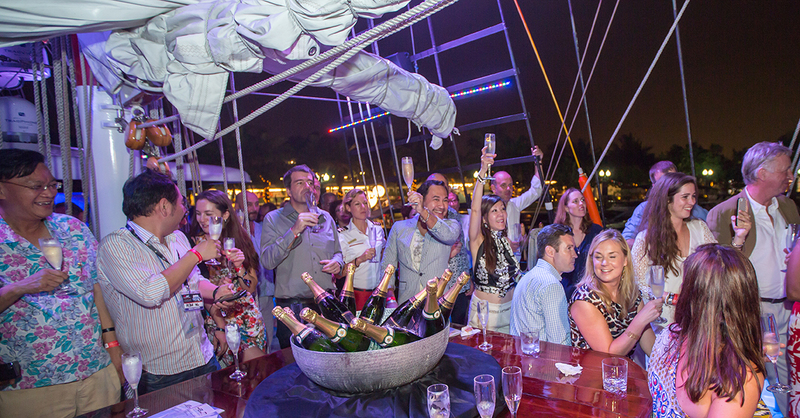 Capable of hosting up to 200 dockside and 130 while sailing, the Royal Albatross is your way of cementing your reputation as the organiser of the most unforgettable corporate party in Singapore. The 22-sail and 4-mast ship operates from Sentosa and will take you and your clients towards the Southern Islands and Marina Bay. Set sail during the day and enjoy your lunch al fresco, or opt for the sunset sail and take in the night-time cityscape with a fancy cocktail in hand. 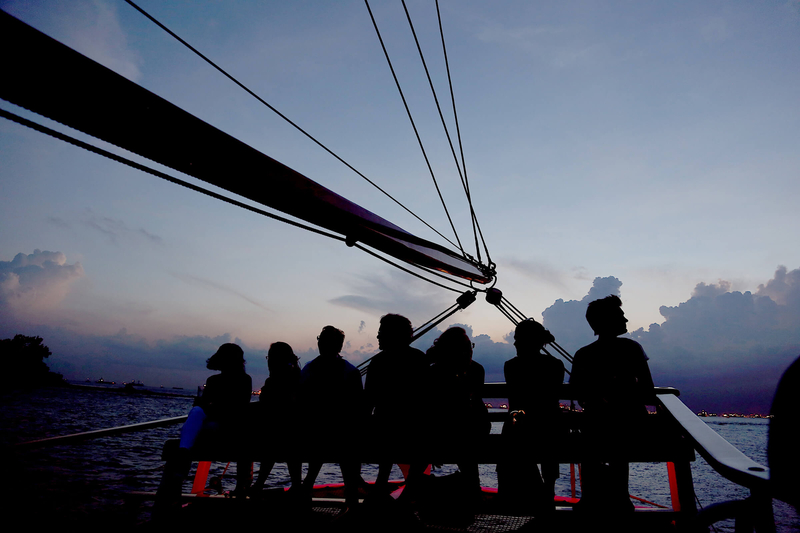 If you want to take your corporate evening planning up a notch, you can arrange for some team building activities onboard like mast climbing, and later enjoy the beauty of a sunset and cool night-time sea breeze as you sail. Skip the typical restaurant-style setups and instead, impress your guests with the charm of this Barquentine tall ship. The top deck is beautifully adorned with sleek woodwork and al fresco dining spaces. Below deck, your clients and VIPs will get to enjoy a reprieve from the sea breeze in a fully air-conditioned lounge complete with soft carpeting and luxurious settees. Of course, no corporate party worth its salt will be without a delicious banquet, and the Royal Albatross aims to please with its unique service. Enjoy butler service for drinks and canapés, as well as a tasteful array of gourmet food, cooked to perfection by the crew on board. And what party is complete without a good drink or two? Aboard the Royal Albatross, both bars on and below deck are well-stocked with any drink your VIPs might desire. If you’re going to host a memorable corporate party, it’s time to pull out all the stops. The Royal Albatross presents itself as a novel corporate event venue in Singapore, and the ship can even be set up in your corporate colours if you so wish. Skip the restaurant; it’s time to take your clients sailing instead. Perhaps it might even garner you more ‘Aye’s in the future. For more information about our corporate charters or email them at sales@tallship.com.sg. The minimum quantity is 1.